Let’s start with one of the easier items on this list. Many people are guilty of letting mail pile up on a console table or countertop. Set a goal this year to open and sort through your mail each and every day. Immediately toss any junk mail or items you are done with into the recycling. Take items that require follow-up to your desk and make sure you respond to them within a day or two. If you’re lacking a proper spot for small items, you will end up letting your junk drawer get way out of hand. In an ideal world, there would be no such thing as a junk drawer. 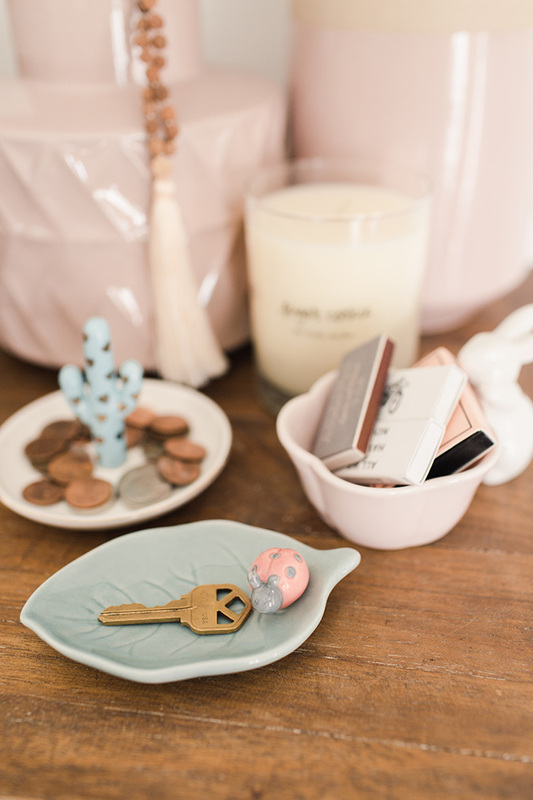 Instead, corral any tiny items (from buttons to paper clips to loose change) into a small dish or trinket tray like the ones from my LC Lauren Conrad collection. Talk about next level organization. If you’ve ever stopped and stared at an image of a perfectly organized pantry, you’ll notice that all of the pantry staples (like pasta, grains, and cereal) are decanted into clear containers. Doing this will actually save space in your pantry (since you’re not dealing with all different size boxes and bags) and make it easier to find the ingredients you’re looking for. It looks pretty, too! The very first step in organizing your closet is investing in a set of good hangers. Having a mish-mash of different hangers makes it harder to move them around and look for clothing. My personal favorite are slim line velvet hangers. If it’s been a while since you last checked, make sure that your medicine cabinet, pantry, refrigerator, and makeup bag are not housing any items that are past their prime. Having a clean slate will help you keep those spaces organized. 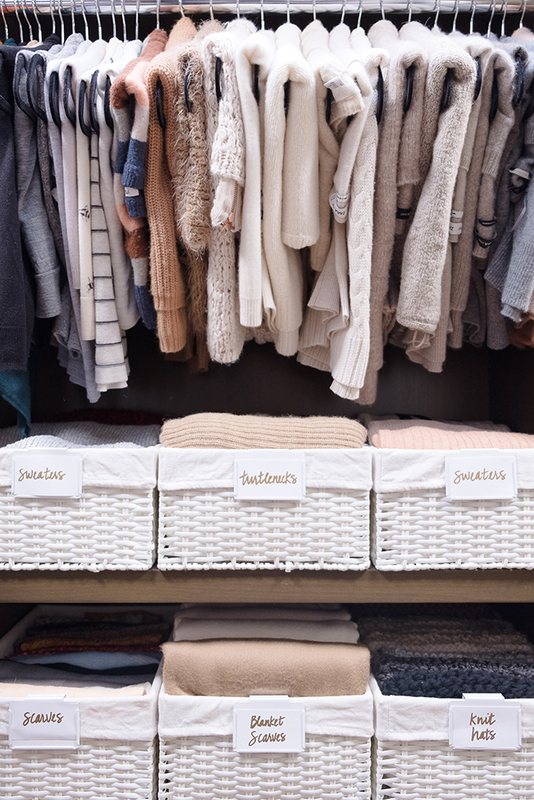 Baskets are a great secret weapon for storing items that are less than attractive on their own. 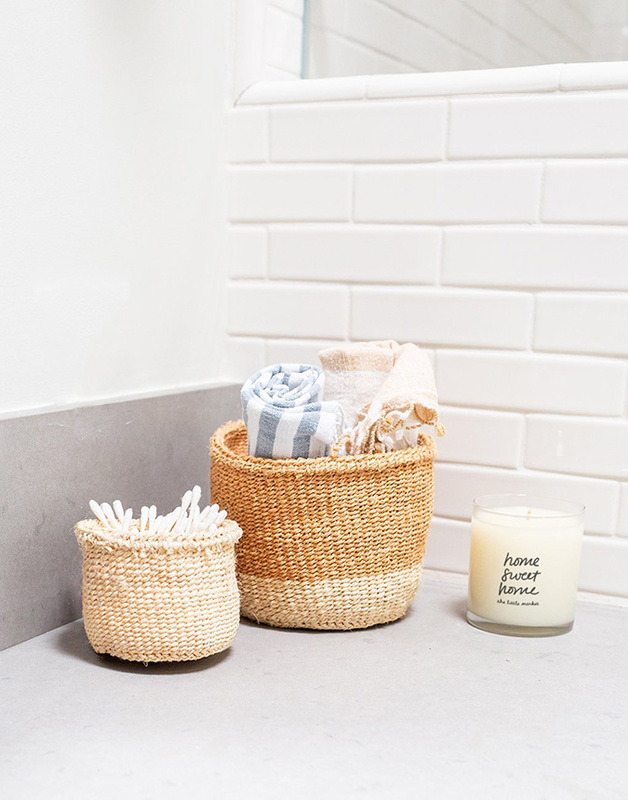 The handwoven baskets that we sell at The Little Market make beautiful pieces of home décor and are also a practical way to round up towels, toiletries, toys, laundry, craft supplies, and practically anything else you can think of. If you can’t see something, you won’t end up using it. 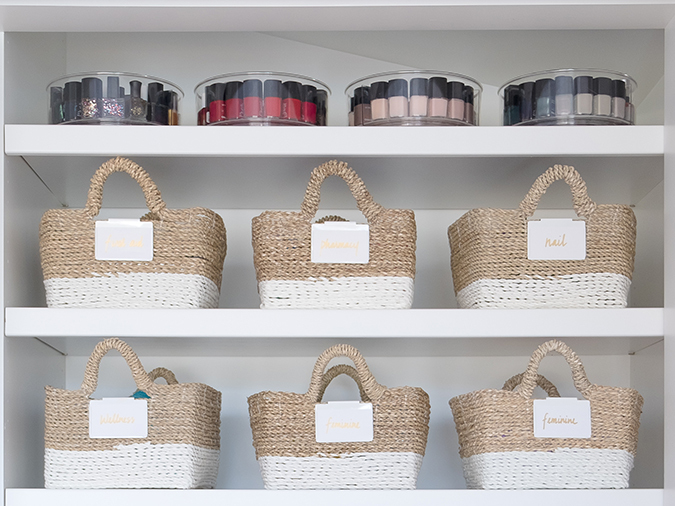 Make use of labels in every storage space in your house, from the pantry to the powder room. A turntable, or “lazy susan,” is a great way to keep everything accessible in deep cabinets. You can utilize one in your pantry, in your bathroom cabinets, and more. 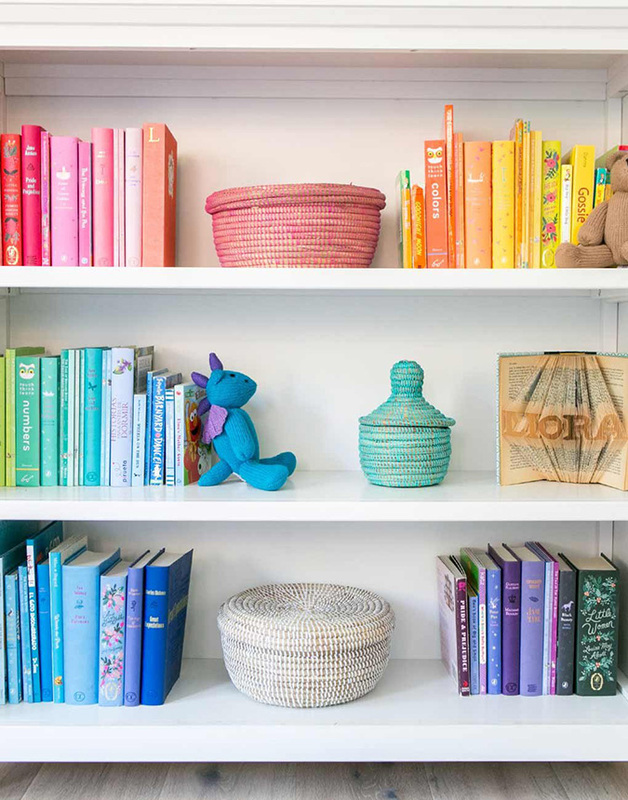 Color coding is a great system for organizing things like books, clothes, beauty products, craft supplies, children’s toys, and more. Not only does it look lovely, but it makes it easier to find things, too. If you don’t have a custom built-in closet, stackable storage is the next best thing. Clear storage bins and stackable shoe boxes are a very worthy investment. 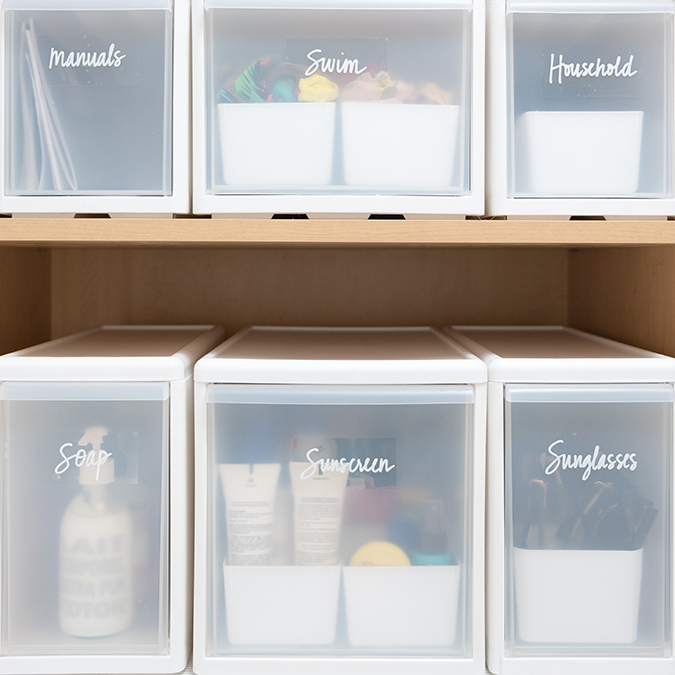 Do you have any other tips for getting organized? Share them in the comments below, please!